We’re very glad that we had the possibility of being a guest at the ACPT Congress in Kuala Lumpur. The Asian Confederation of Physical Therapy, founded in 1980, is one of the oldest organizations of this kind in Asia. 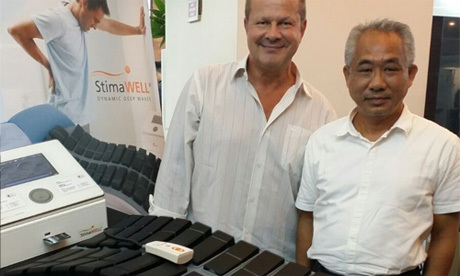 Together with our exclusive distributor on site, Mr. Aw Kwai of H&A Medical, we proudly presented our patented StimaWELL® System for Dynamic Deep Wave Therapy to trade visitors and physiotherapists.